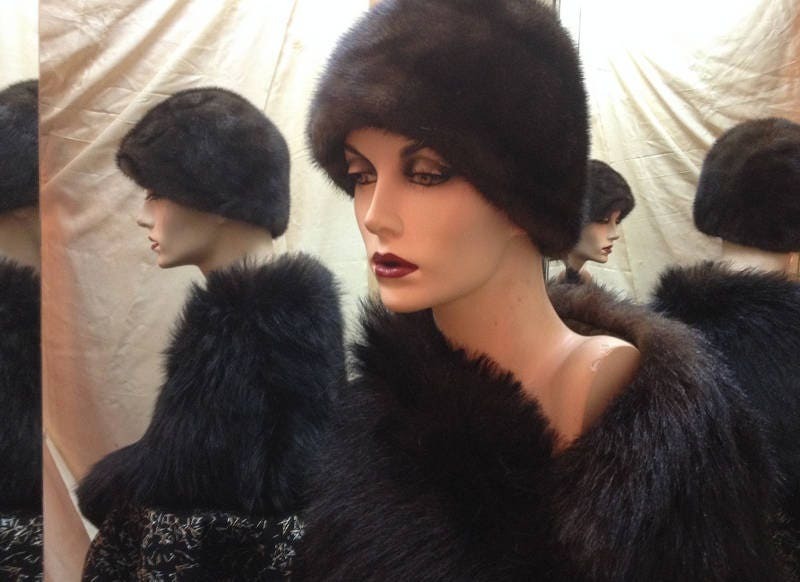 1960's, size 22", dark brown ranch mink pill box hat. Completely lined in dark brown acetate. High mink crown no brim. Label reads "Designed by Lora".